Full body sensing is more accurate than measuring with feet alone. With the HBF-514C, you’ll get a comprehensive understanding of your body composition to help you reach your fitness goals. 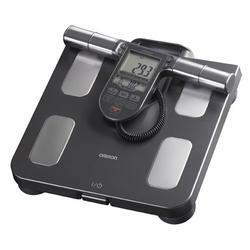 The HBF-514C measures 7 fitness indicators including body fat, visceral fat, BMI, skeletal muscle, resting metabolism, body age and body weight.